Rakan and Xayah are making quite the showing in Patch 7.8 as two of the highest mobility champions released this year (which is certainly saying something). 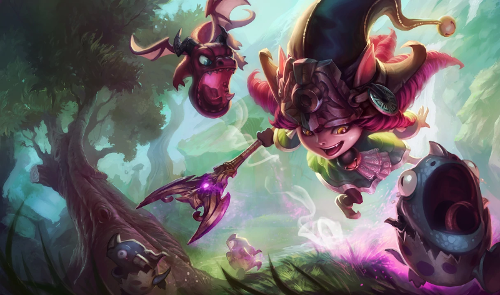 Meanwhile, the jungle meta is still largely dominated by damage-based burst champions with the sole exception of Ivern, who performs incredibly well despite being a little...different. Fizz [God Tier Top/Mid] - Fizz in his current form is extremely annoying as both a top laner and as a mid-laner. As a top laner, most player opt for a tanky Trinity + tank item bruiser, whereas mid-lane Fizz players are starting to pick up Hextech Gunblade + Lichbane for maximum one shot potential coupled with excellent sustained damage. Galio [Tier 1 Top] - Galio's falling a bit in his jungle/mid/support roles after the initial hype died down and he was nerfed a bit. However, he is still highly popular as a utility top laner with great team fighting potential. Graves [God Tier Jungle] - Even after the nerfs last patch to his defensive capabilities, Graves remains a top tier favorite for his massive damage potential and long range snipes. For a player that can dodge most spells, magic resist nerfs don't really play much of a factor I suppose. Ivern [God Tier Jungle] - Ivern is the current god of the jungle when it comes to survivability and massive utility. His ability to chain crowd-control spells with the rest of his team makes him a high priority pick in high level competitive play that works well at high level solo queue as well. Leblanc [Tier 1 Mid] - The Hextech Gunblade Leblanc build we reported on a few weeks ago continues to be very popular as a viable method of sustain and burst damage for Leblanc, and its definitely bringing her back into the spotlight despite the nerfs to her Distortion a few patches back. Nunu [Tier 2 Jungle] - Nunu appears to be an extremely underrated pick in solo queue right now. Despite being a high utility unkillable counter-jungler like Ivern, he remains largely uncontested when it comes to the pick/ban phase. Overall I'd say he's a pretty good champion to main right now. Rakan [God Tier Support] - Rakan's potential crowd-control via his spells is extremely high, and his mobility makes him incredibly annoying to deal with. I would expect him to become the new Lee Sin of supports, although support mains already have Thresh and Bard to play with. Taliyah [Tier 1 Mid] - Taliyah continues rising in popularity for her excellent burst damage and engagement abilities. As players move away from an assassin heavy meta, I would expect her to come in handy as a poke/burst hybrid. Xayah [God Tier Marksman] - It's been a while since marksmen got someone with as much outplay potential as Xayah. She's incredibly fun to play as, and has so much potential for outplaying her opponents that it's easy to see why players are flocking towards her.